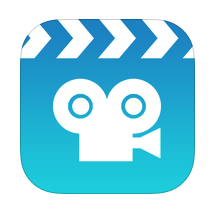 The Collab Blog: Creative Demonstration of Learning: Stop Motion Videos! Creative Demonstration of Learning: Stop Motion Videos! One of the things I enjoy most in my role as Innovative Technology Facilitator is visiting classrooms and seeing the creative ways that teachers are impacting student learning in our 1:1 classrooms. Inevitably, I learn and I am inspired, and I have the opportunity to share the strategies I see with others. 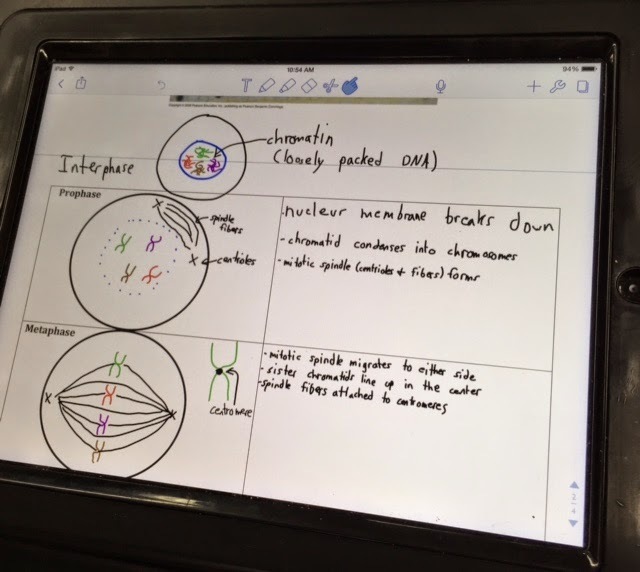 Today's post will highlight one of my recent classroom visits to Quinn Loch's Biology class and the creative way he used technology to assess his students' understanding of mitosis. 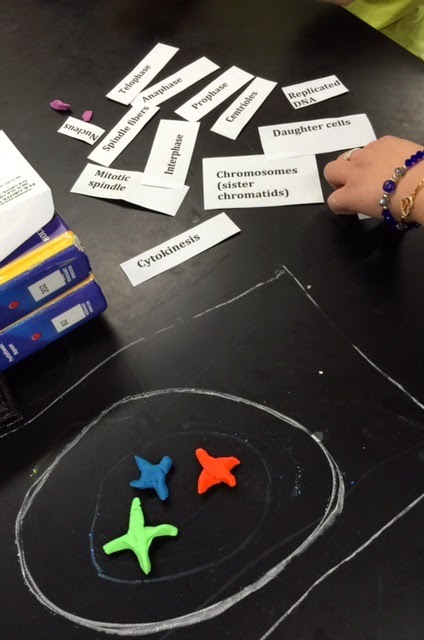 Instead of using a traditional assessment, Quinn had his students use the app Stop Motion Studio, to create videos of this cell cycle process. 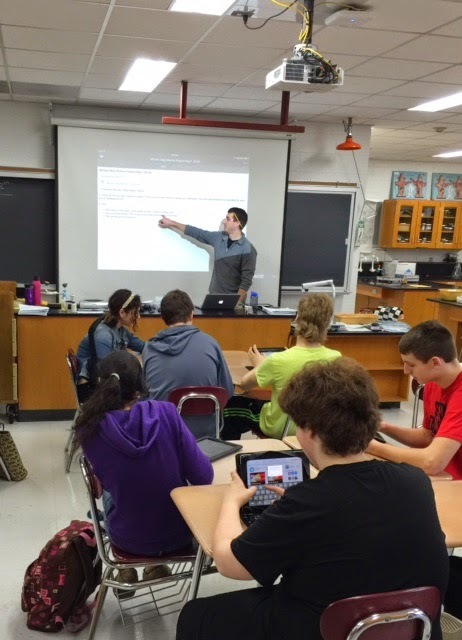 After a very brief introduction to the lesson, the students downloaded the app, a free app, and got to work. The app required very little instruction on Quinn's part; students seemed to intuitively know how to navigate the process. 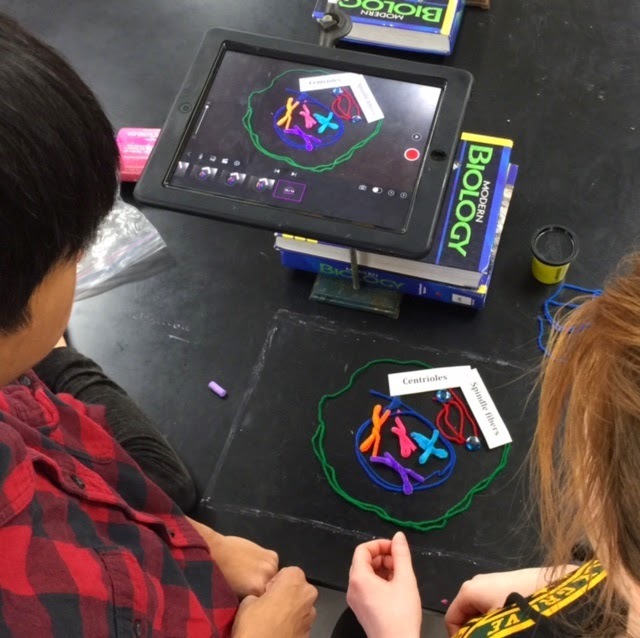 After downloading the app, the students visited the supply table and decided which of the following props they wanted to use to recreate the process of mitosis: Play Doh, pipe cleaners, chalk, yarn, string, paper clips, magic markers, labels, colored paper. From there, the students went to work. Collaborating with their partners, they reviewed their notes in Notability, they talked through all of the key steps and vocabulary of mitosis, and planned how they would represent each step with their props. Quinn acted as the facilitator, circulating from group to group to clarify steps, encourage the students and offer feedback. It was fun to watch how each group worked differently, but ultimately demonstrated their knowledge in a unique and creative way. Check out a couple of their final products below! Do you have creative ways you have had your students demonstrate their learning? We'd love to hear from you!